A few exits north of Dallas lies the bubbling town of Frisco, which I quickly learned is a mecca for sports fans and has plenty to sustain itself for a weekend of adventure. Frisco was the final stop in my grand tour of North Texas after days spent in Dallas and Plano. Here’s what I did in Frisco and how I’d plan out a fab day in the city! Disclaimer: This post is sponsored by Visit Frisco, but all opinions are my own. Feast at Up Inspired Kitchen, whose menu is loaded with vegan, vegetarian, and gluten-free options. Currently on a huge toast kick, I was obsessed with the hefty serving of avocado toast (#millenialstatus) and the root veggie toast. The interior decor is fun and spunky with pops of color and loads of Instagram potential. Afterwards, check into the Omni Frisco, and do a quick workout at the Cowboys Fit gym. The Omni Frisco is located inside the Dallas Cowboys World Headquarters at The Star which is a constant buzzing center of activity. It’s connected to the Ford Center, where the Dallas Cowboys practice as well as bunch of easily-walkable shops and restaurants. 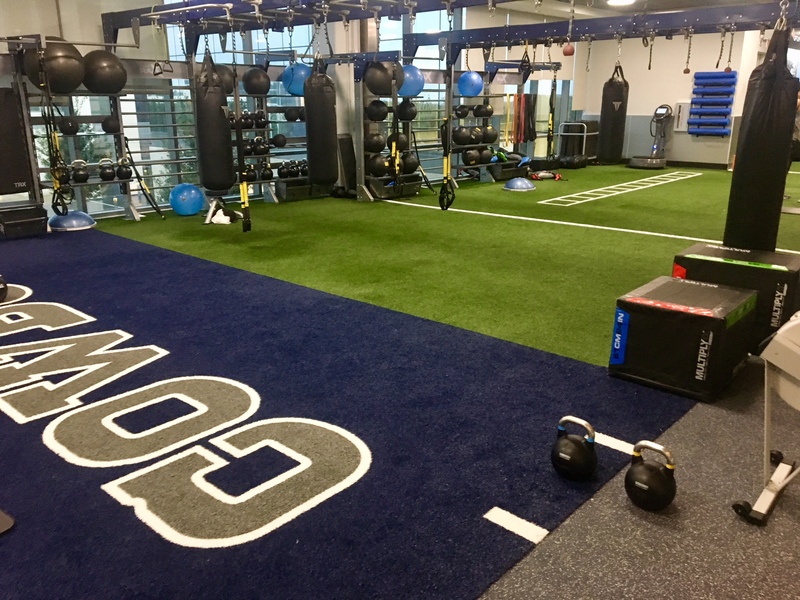 With your room at the Omni Frisco, you have the option of getting a day pass to the Cowboys Fit gym which is this incredible workout facility with every piece of equipment you could ever desire, luxurious locker rooms with steam rooms, and fitness classes every hour! (You can also enroll for a 3-day trial here). As are most things in The Star, all the weights are branded with the Dallas Cowboy’s logo in addition to having an astroturf patch with the “Dallas Cowboys” painted into the “end zone.” Cowboys Fit is where the Dallas Cowboy cheerleaders practice, as well as some members of the football team when they’re in off season. Frisco should definitely be a destination for any sports fan, and especially all Dallas sports fan. The Ford Center has daily tours that last about an hour. 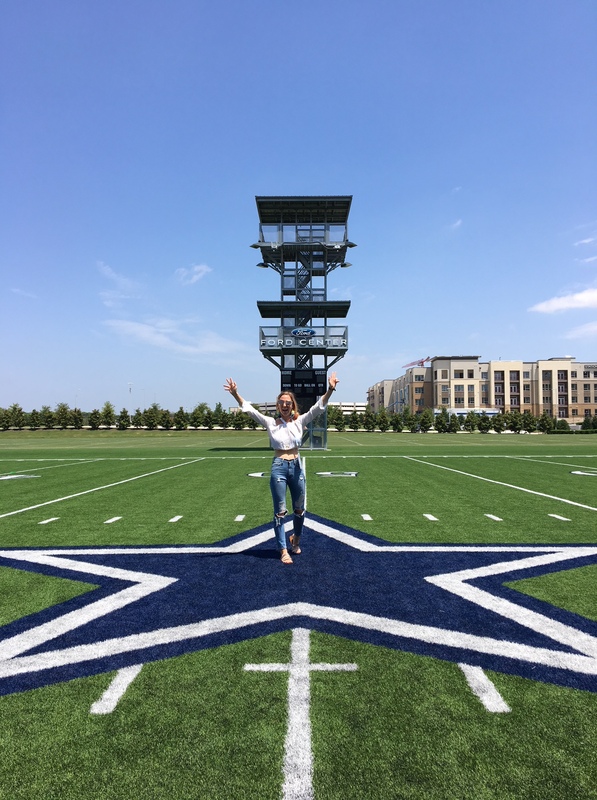 In addition to seeing numerous shrines memorabilia to different players throughout Dallas Cowboy history, you can see their Super Bowl trophies, weight rooms, and get to walk out onto the practice fields. We saw a few players walking around as well. 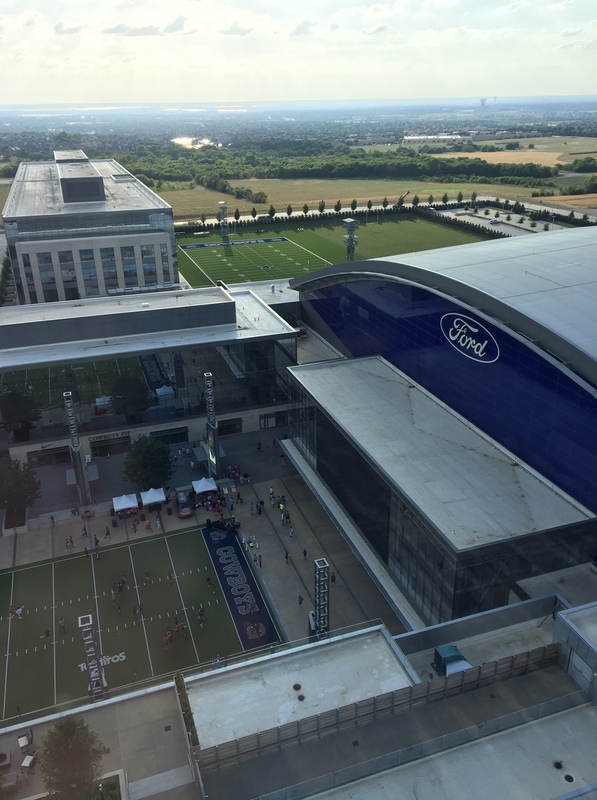 The Ford Center is where the Cowboys practice 355 days out the year–aka every day they’re not in a game, which is played in Arlington. Which begs the question, why are they called the Dallas Cowboys if they’re never in Dallas? Anyways, tours are daily every 30 min from 9am-4pm pending Cowboy schedules. Frisco is an interesting mix of small town Texas with urban lifestyle. On our way to lunch, we cruised through the historic downtown, got some views of the iconic Frisco water tower, and passed the Railyard Food Truck Park which is full of innovative, food combinations. We ultimately lunched at Eight 11 Place which is a repurposed bungalow with firepits, ovenmade pizza, and…wait for it…sparkling wine flights!! Ahmazing. We also popped into Sunny Paige boutique next door. Instead of sports, we ended up going to the National Videogame Museum instead. Lolololz I know. This exists. And it’s in Frisco. 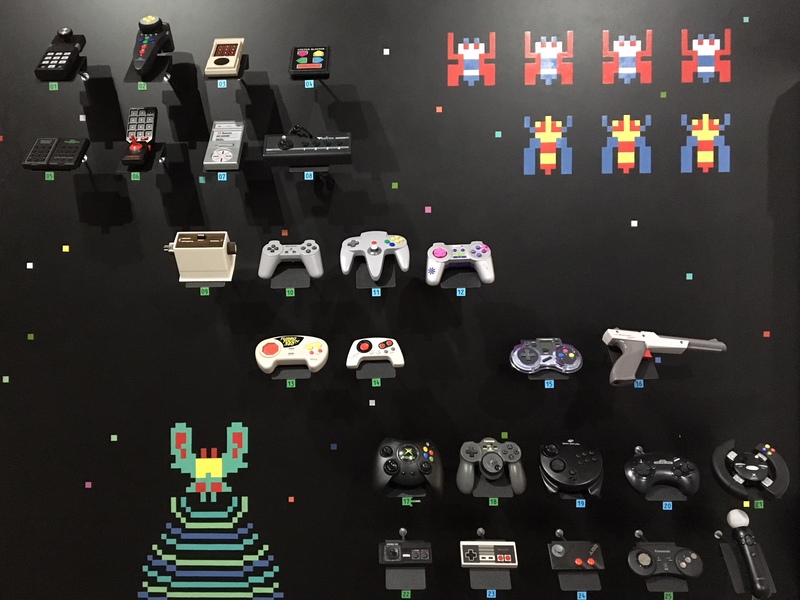 The museum opened two years ago by a group of video game fanatics who had been collecting paraphernalia for 30 years. Over 70% is touchable and playable. It’s multigenerational. I felt like I was taking a step back in time into my grandmother’s living room and had all of the flashbacks with the Nintendo Gameboys on display. My favorite part of the museum was playing vintage versions of Frogger and Mrs. Pac Man in the arcade. As with all my trips, any other free time I have I like to spend it relaxing at the pool. The Omni Frisco pool is no exception. It has some crazy views of The Star lawns as well as corners of the Ford Center practice fields. I love a hotel that is nicely located. 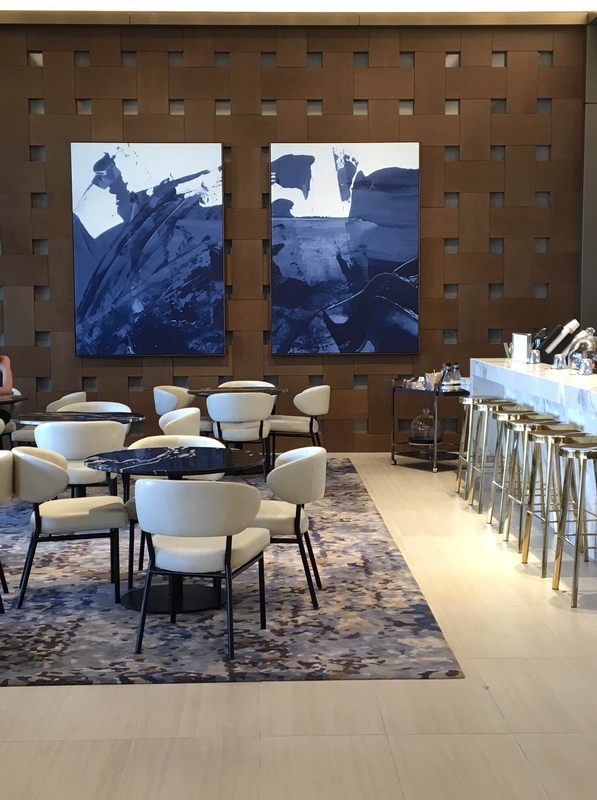 The Omni Frisco was the perfect place to be for the weekend and enabled us to walk to dinner at Zaytinya in The Star. Zaytinya offered elevated, exotic flavors of the Mediterranean on its menu. Always adventurous in my food tasting, I ordered the Turkish Pickleback which was chilled raki served with ice and pickled turnip juice that I got to mix myself. 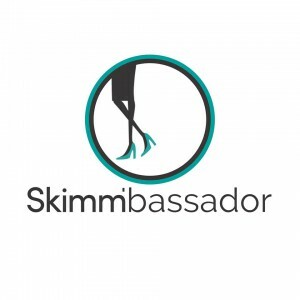 Super cool, very unique experience. For the mains, the food came out tapas style and we enjoyed a mix of incredibly fresh hummus, mushroom risotto with garlic toum (OBSESSED), Brussels sprouts, cauliflower, and kebab. After dinner, there’s a load of popping restaurants, bars, and night clubs walking distance in The Star. I recognized Concrete Cowboy among the mix. But opted to take a fat bath in the marble tub at the Omni Frisco. Fun (sober?) fact: There is no hard liquor in the city of Frisco. You can order it in bars, but you can’t get it at a liquor store. Want more North Texas recommendations? Check out my guides to Dallas and Plano. For real estate tips in the area, check out VIP Realty Frisco. Also, shout out to Chevrolet who lent me a Chevy Equinox which got me to and from North Texas safely! It stormed on the 4 hour car ride home, but the car had OnStar which offered Turn-by-Turn Directions with the touch of a button that helped me navigate through traffic and through the storm. The car had Sirius XM radio which was clutch when driving through the dead pockets of the countryside where radio wouldn’t come through. I also capitalized on the 4G LTE Wi-Fi hotspot (did you know cars can create hotspots now?!!!) to keep me connected at all times. Truly a game change in the road tripping world! What’s your favorite thing to do in Frisco? Comment below with your recommendations! 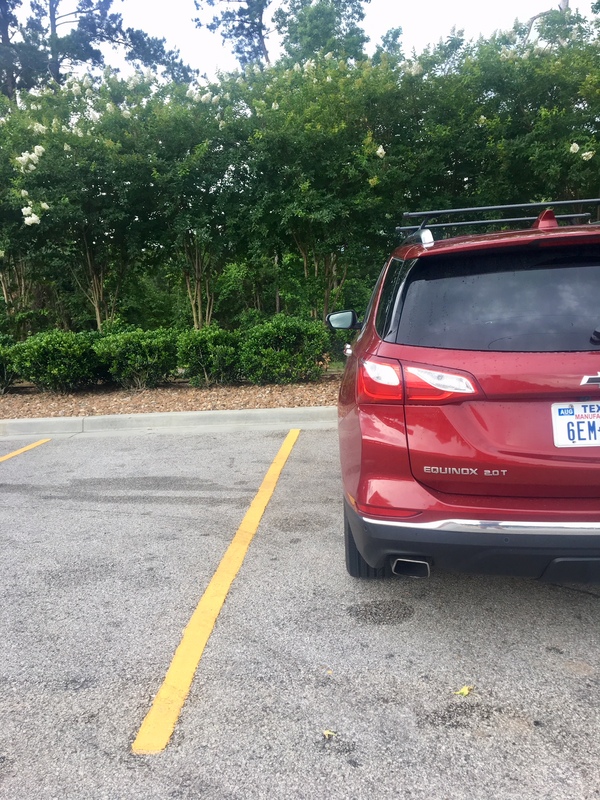 Tags: Chevy Equinox, Cowboys Fit, Dallas Cowboys, Ford Center, Frisco, North Texas, Omni, Omni Frisco, Texas, The Star. Bookmark the permalink. Only the emotions of pleasure remained in Houston. I spent a great time here (whole week!) resting on the Gulf of Mexico. You definitely did have a fab day in Frisco! Seems that Frisco has a lot packed for any type of person, the video game store looked cool especially with the design. Also, the places you visited looked cozy and instagram-friendly which is a plus. Sounds like a great place to drop by for a visit. Thank you for sharing your adventure!